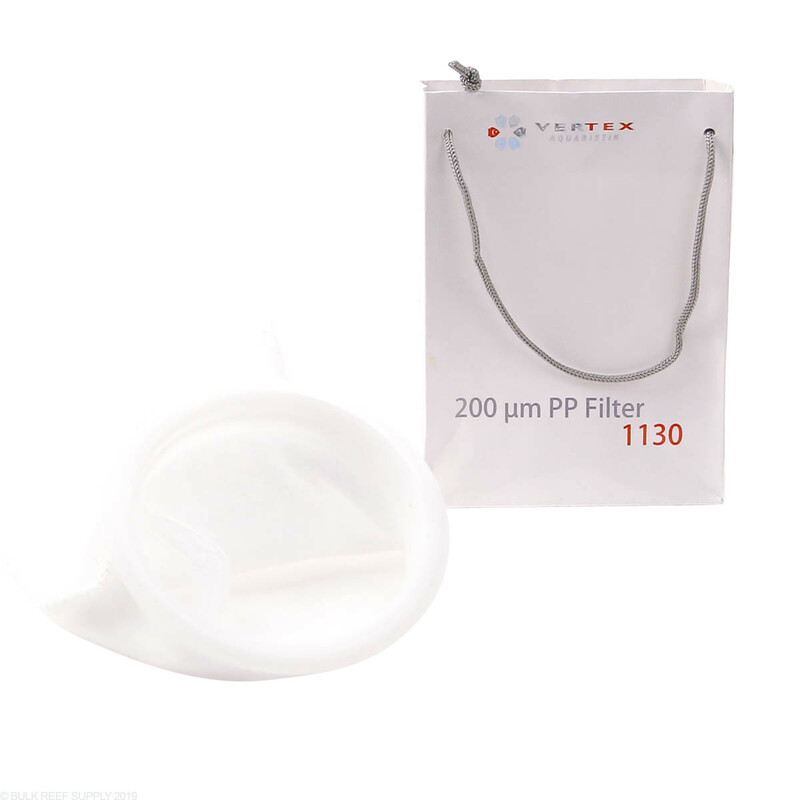 200 Micron Felt Filter Sock with Plastic Ring 4" x 12"
200 micron filter socks are by far the most common used by hobbyist and industry professionals. 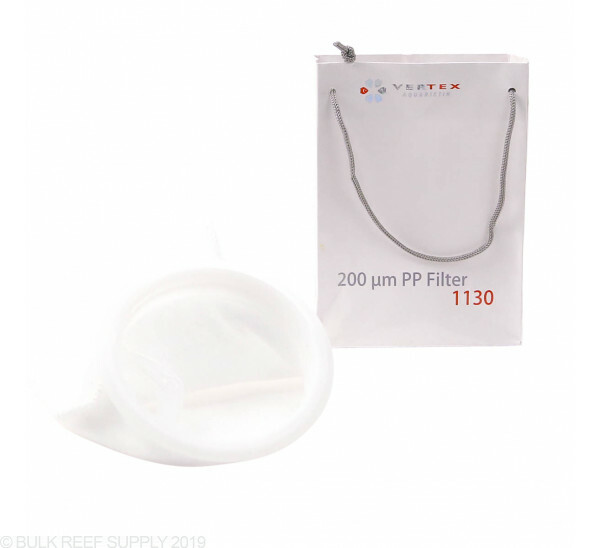 Lasting a few days, they are most commonly used in sumps to collect and filter the water draining out of the display tank, removing any free floating detritus, organics, dust, and foreign materials before continuing onto other filtration equipment. 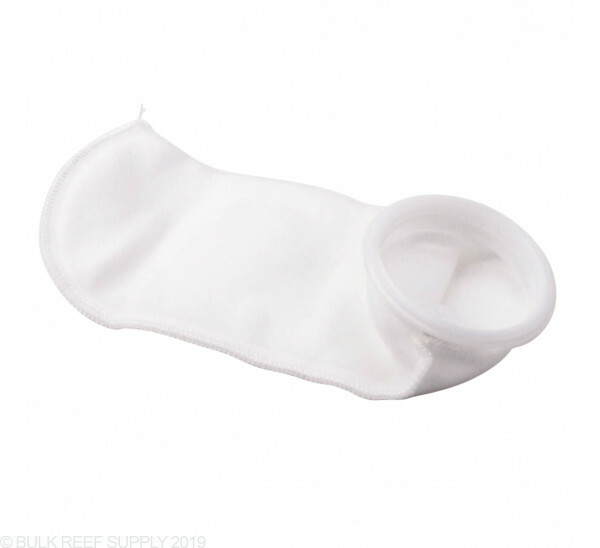 Vertex Felt Filter Socks are made of high-quality polypropylene, and can be washed and reused numerous times. We suggest having a few on hand to change out every couple days for the best results.